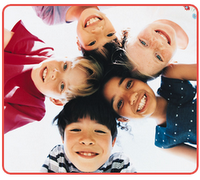 Pediatric Dentistry: DMD or DDS, What's The Difference? DMD or DDS, What's The Difference? These are the doctoral degrees awarded upon completion of dental school in the United States. What's the difference? Basically there is no real difference. Schools across the country award either the DDS (Doctor of Dental Surgery) or the DMD (Doctor of Dental Medicine). Several years ago there was a movement in the academic community to increase the amount of medical training in dental school and make it more similar to the MD degree in medicine. 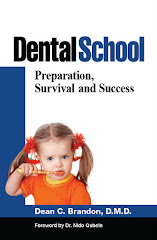 Some school's adopted this new DMD program with additional medical training. Well, as the years passed, all programs pretty much have developed the same curriculum regardless of the degree awarded. So, there is no real difference. Question: Is a DDS an Oral Surgeon? No. Oral Surgery is a Specialty of Dentistry requiring additional years of training. I have a DMD from the University of Alabama. Other schools awarding the DMD are Harvard University, University of Connecticut, Medical College of Georgia, and several more. Thank you for that much need clarification, however, what is the significance of SP? I know of no "sp" designation. It is not a degree, at least in the USA. Might be used in the uk? HI Dr DEAN Brandon , do you recommend distal shoe space maintainer after an early extraction of maxillary second molar. Distal shoe space maintainers are often used in such cases depending on circumstances and the age of the patient, etc. Hi my 3 almost 4 in may has 11 cavities and he found out on his first dentist visit but his teeth looks perfectly fine he never complains about any pain or anything and dr said he needs three crowns in his back teeth does he really needed? Or we should go for second opinion? I m so confused and is it genetic? Because his dad has cavities history and also my dad( my son grand paa) had bad teeth so what should we do please help me out. Well, most cavities do not cause a toothache till they are very large. X-rays can reveal small or medium sized cavities between the teeth. I would recommend seeing a pediatric dentist (specialist) if you haven't already. A second opinion is always ok, just be prepared for a similar answer. Good Luck.